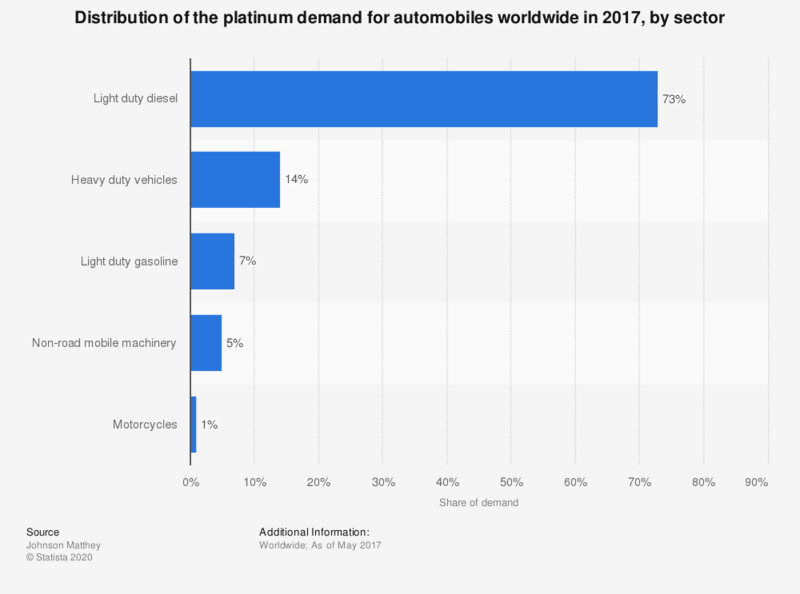 This statistic displays the distribution of platinum demand worldwide in the automobile industry in 2017, by sector. In that year, the demand for platinum for the light duty diesel vehicles sector accounted for some 73 percent of the overall automobile industry's platinum demand. Women: How important is that auto brands offer products that make you happy? Women: How important is that pharmaceutical brands offer products that make you happy?